What I love about her paintings are definitely the details… details that are often missed out on photographs. 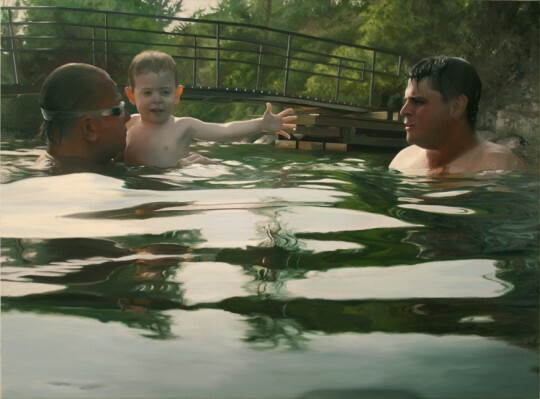 It should not be about looking at her paintings as if they were meant to look as realistic as possible, but more about looking at them and finding out the little surprising elements that can often be missed out by our busy naked eyes. 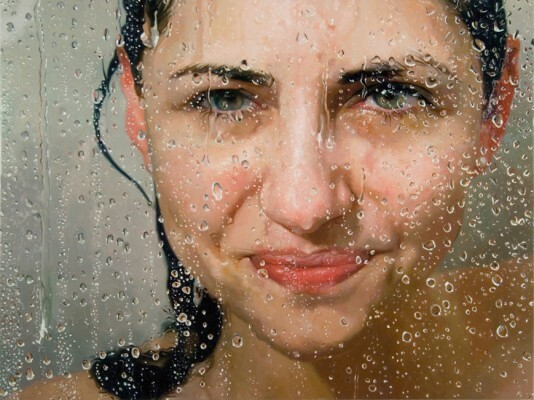 The textures utilized in her artworks such as the water, the shower curtains, the steamed shower glasses, etc are simply exquisite. She paints almost as if she was a mere mirror, not really caring about beauty, with a certain detachment from the images themselves, nevertheless still reflecting them faithfully. Monks loves working with the element of water in her paintings, because it allows her to explore different dimensions in the images, since water tends to expand or shrink objects and alter their colors. The woman most predominantly in her artworks is herself, because she does not want to worry about models being self-conscious about their portrayal. 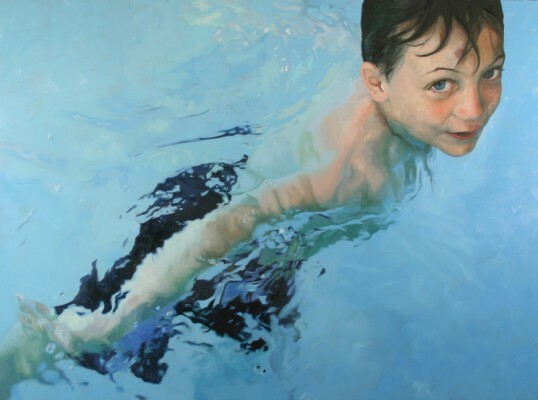 She has recently started painting her family as subjects, and has been using some close friends for a while. 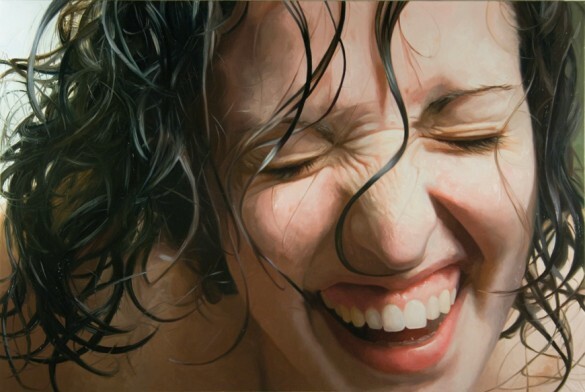 Alyssa Monks is an already established artist. Having been on the scene since 1999, this 30 something artist is being represented by Sarah Bain Gallery in Anaheim and DFN Gallery in New York City. Already with many awards and exhibitions under her belt, she has caused a buzz overseas in countries such as England, Germany, and Italy with her amazing works. She is now sharing her knowledge with future aspiring artists in New Jersey at Montclair State University, where she has been working as an instructor. Don’t hesitate to follow her during this New Year, and swing by one of her exhibitions in the U.S. or perhaps in Germany. I’m not usually a fan of realism but a lot of her work has a real painterly lusciousness and moodiness that really draws me in… stunning. If you could mail me with a few suggestions on just how you made your blog look this excellent, I would be thankful.